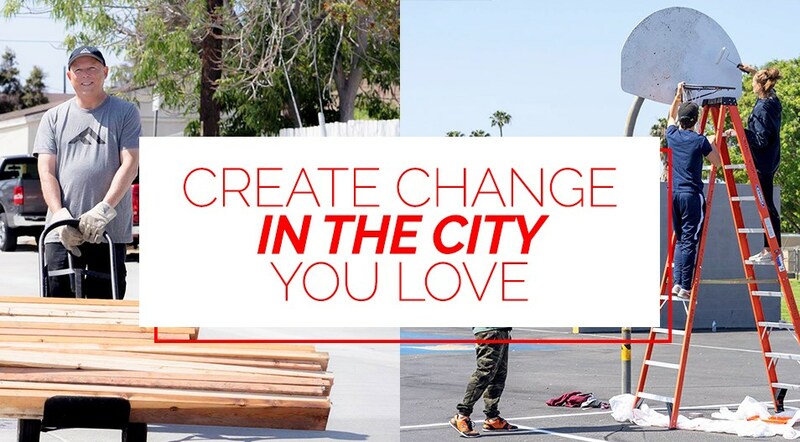 WHAT WOULD HAPPEN IF OUR ENTIRE COMMUNITY CAME TOGETHER TO LOVE COSTA MESA? 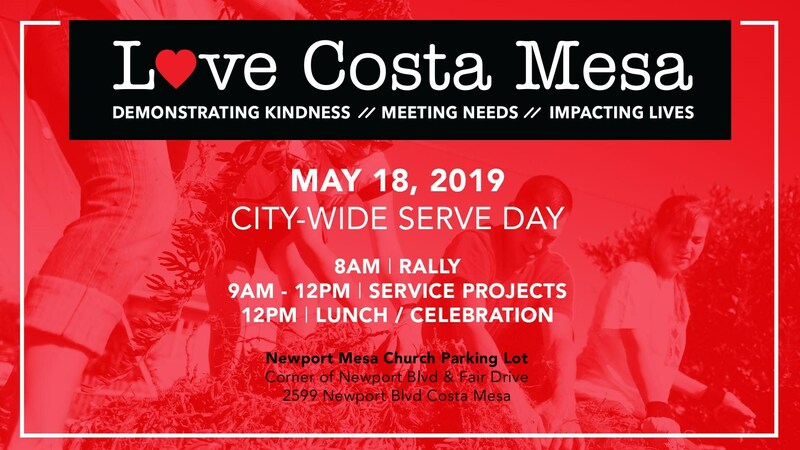 “Love Costa Mesa” is an annual city-wide community volunteer service day. This year it will be taking place on Saturday, May 18th. Registration for Love Costa Mesa begins at 7:30am in the parking lot of Newport Mesa Church, located at 2599 Newport Blvd in Costa Mesa. 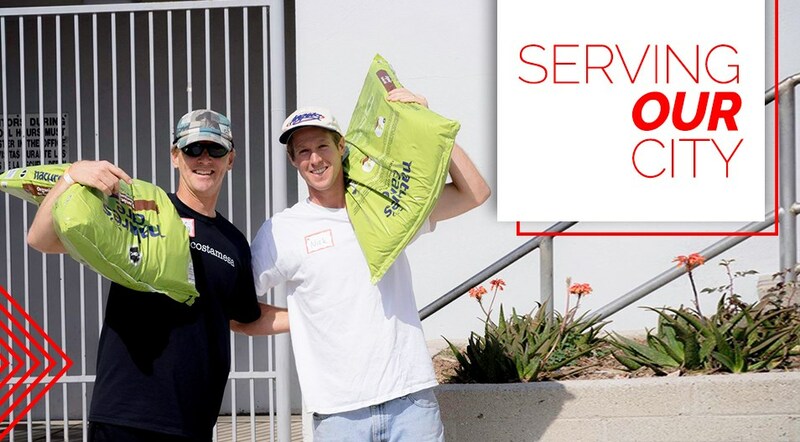 • FREE “Love Costa Mesa” t-shirts given out to volunteer (limited supply so come early)! • Lots of music and family fun festivities! Festivities will begin at 8am (brief Rally around 8:30am) and then afterwards everyone will be sent to meet with their project teams BEFORE going to their project locations. It’s going to be an incredible family-friendly atmosphere. 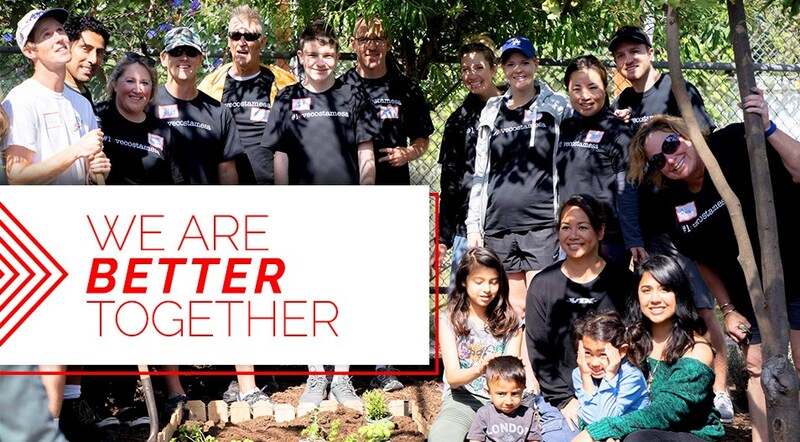 Our goal is to have over 600 of us go out to volunteer in 50 plus projects in our city!